So much power at such an affordable price makes the Citadel™ OB3000 Tablet Time Clock the sharpest time clock on the market. 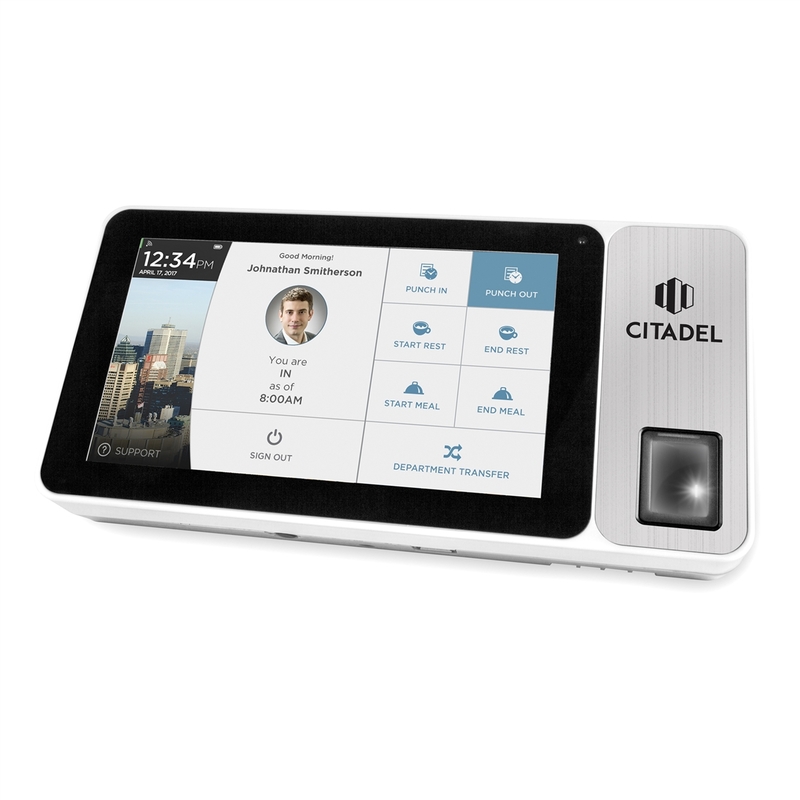 Part of the Citadel Cloud Time and Attendance System, this time clock is fitted with a sleek 7” touch screen that effortlessly engages user interaction with every employee punch instantly sent to the cloud. The OB3000 Tablet Time Clock includes a backup battery so you can use the tablet anywhere – perfect for contractors or anyone with offsite employees. Armed with the highest quality fingerprint sensor, no buddy will ever punch for another buddy limiting exposure to time theft. Securely monitor and manage all employee time and attendance activity 24/7 from any internet connected device. Track every minute. Pay only for work earned. Citadel Time Clock Touch Tablet System requires a monthly cloud subscription plan or the product will not work.Affordable plans are available for every size business. All monthly cloud subscription plans include receiving punch data from two time clocks. Add $10 per month for each additional time clock over two.